My tokay is about 10 inches right now and hes doing fine in a 20 high tank. 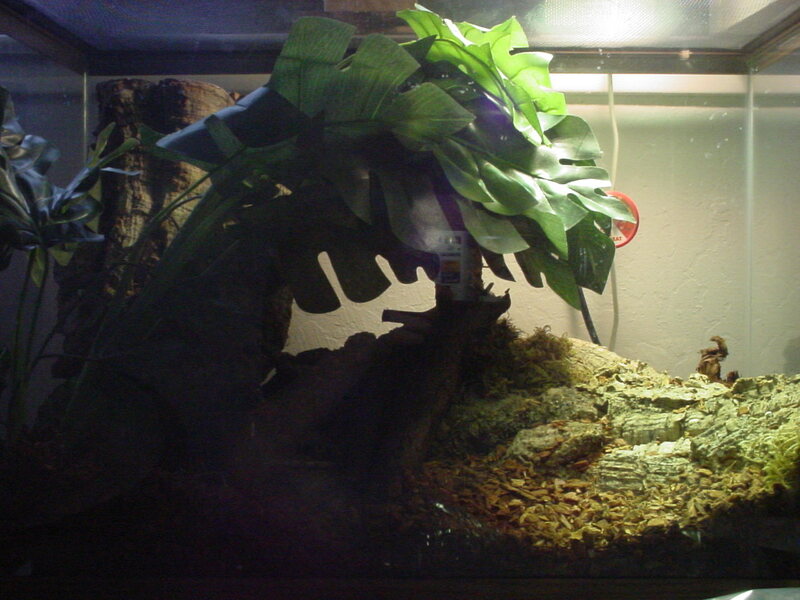 The trick is to give lots of hiding spaces and to put all sorts of plants in there giving them not only walls to climb on but stuff inside the tank. Either way, my tokay still just sits on the highest cork bark he can find and watches my cat.